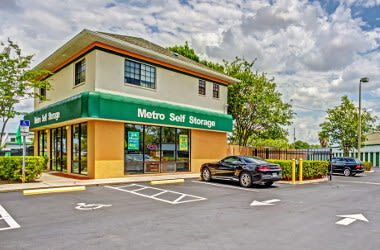 If you need a little bit more space to tuck away those seldom used items and make room for the things you need regularly Metro Self Storage has Largo storage units in Ulmerton and East Bay in an extensive array of sizes to suit your needs. With storage units as small as 5X5 and as large 15X20 we have the extra space you need for any home or business storage dilemma. Many of our storage units are available with climate control storage, and we offer RV storage as well as boat and trailer storage near Lake Seminole. We make managing your storage simple with month-to-month leasing and convenient online bill pay. 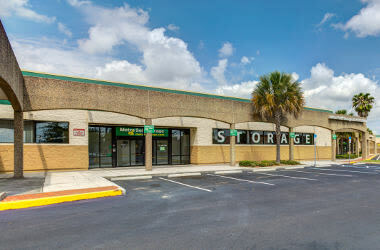 If you are looking for cheap storage rates in Ulmerton and East Bay then don’t miss our online storage prices. Combine these Metro advantages with our caring, knowledgeable storage team and you have a top-notch storage experience. 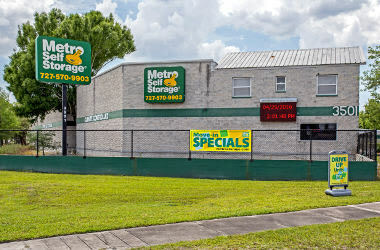 If you could benefit from commercial storage space in Largo, why not consider Metro Self Storage as your business storage solution? We help businesses meet their demands by offering flexible lease terms without long-term, expensive, or complicated contracts to sign. 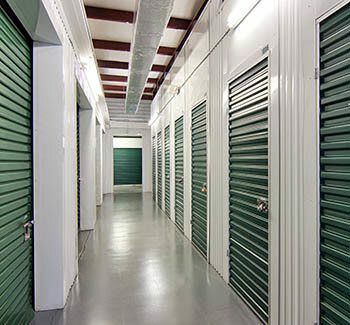 Business storage unit sizes range from small 20 sq. ft. spaces to large commercial storage units up to 300 sq. ft., which can give you the flexibility to store anything from records and documents to the contents of a small warehouse. Climate-controlled units maintain a steady temperature needed to insulate essential business items from damage caused by severe humidity and extreme temperature swings. Our Largo storage facility provides 24-hour access, online account management, and 24-hour surveillance cameras offering the ultimate in service and convenience. Let us help you create more space in your life today. Call us today to find out how easy it is to move in with Metro.